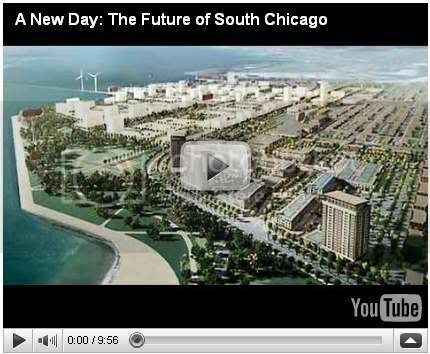 New Talking to Walls Production, "A New Day: The Future of South Chicago"
A bill that would provided $1 billion to capitalize the National Housing Trust Fund was defeated at the Senate last week. A scaled version of the American Jobs and Closing Tax Loopholes Act [H.R. 4213], or the tax extender bill, which narrowly passed in the House is a joint effort by the House Ways and Means Committee and the Senate Finance Committee. The bill was defeated due to the concerns by Senate Republicans with the costs associated with extending unemployment benefits that lapsed in the beginning of June and providing federal aid for Medicare to the States. Housing advocates are looking for other opportunities to move the most critical housing provision forward, the $1.065 billion to capitalize the National Housing Trust Fund. According to the National Low Income Housing Coalition, several bills could move before Congress adjourns, including the unemployment extension bill, a small business bill, and a supplemental appropriations bill that will include significant domestic spending. Your help is needed to to have the NHTF included in one of these bills and pass funding for NHTF before the July 4th recess. Call the Capitol switchboard at 877-210-5351 today and ask to speak to your Senators and Representatives. Tell them that before they go on recess, they MUST provide $1.065 billion in funding for the National Housing Trust Fund, as part of any bill that moves forward this week. Let them know how important the National Housing Trust Fund is to ending and preventing homelessness and to preserving and expanding affordable rental housing in your community. The Federal Reserve has announced that it will hold hearings on the Community Reinvestment Act this summer. These hearings are a great opportunity to build support for CRA modernization and to advocate for better enforcement. Organizations and interested parties may submit oral or written testimony. The Federal Reserve Bank of Chicago will hold its hearing on August 12, 2010. Stay tuned in the next few weeks for more information. The House passed the much-anticipated final Wall Street Reform bill last night after long negotiations to merge two versions of the bill which passed conference committee last week. A final vote by the Senate will not be held until after July 12th when Congress returns from the July 4th recess. The conference version includes the creation of the Consumer Financial Protection Bureau, housed at the Federal Reserve, with the authority to protect American consumers from deceptive practices and ensure accurate information on various financial products. See a summary of the Bill. We are excited to announce the release of the latest Talking To Walls production, "A New Day", featuring the South Chicago community and the work of Claretian Associates. South Chicago endured decades of disinvestment when the steel industry started leaving in the 1980s. For nearly 20 years, Claretian Associates, a non-profit community development corporation, has been slowly rebuilding the area by creating affordable housing and leading the charge to advance green, affordable, and sustainable development in the community and beyond. South Chicago is on the brink of change. Foreclosures are threatening the decades of investment in the area. Meanwhile plans to redevelop the former U.S. Steel site are underway. How will these forces impact the future of South Chicago? Talking To Walls is a multimedia project of Chicago Rehab Network. In each episode, using various multimedia platforms, we hear from a variety of people whose lives are closely tied to housing issues--ranging from tenants and neighborhood residents to not-for-profit housing experts. Talking To Walls takes housing conversation from places like City Council board rooms to neighborhood streets, providing clarity to complicated policy surrounding affordable housing. For more information, visit www.chicagorehab.org/TalkingToWalls.aspx. The State of Illinois Neighborhood Stabilization Program required that all single family new construction and rehabs are to include a 100 percent Performance and Payment Bond as part of its insurance requirements for Contractors. CRN and its non-profit CDC members believed that this policy could serve as a deterrent towards the success and timeliness of NSP and could effectively discourage hiring small local contractors. CRN talked with IHDA officials last week on behalf of our members to discuss these concerns and we were able to encourage IHDA to remove the requirement for rehab work costing less than $100,000. We believe that this policy change will ensure the success of the State NSP in returning foreclosed single family housing back to productive use. The City Council Committee on Housing and Real Estate held a hearing to discuss progress of the Department of Community Development's affordable housing production at the end of the First Quarter 2010, including progress on the City of Chicago Neighborhood Stabilization Program. Multifamily resources nearly doubled from last year's actual commitments, yet the projected unit goal does not show a commensurate increase. As of June 16th, there have been 295 units acquired under the Chicago Neighborhood Stabilization Program and construction has begun on 21 units. As of May 31st, the Department has committed $31.8 million, or 57.6 percent, of NSP 1 funds. These funds must be fully committed by the end of September 2010, or be subject to recapture. New CHA data on Department-assisted multifamily units under the Plan for Transformation are reported this quarter. A total of 3,929 mixed-income units have been assisted by the City since the inception of the Plan in 1999, or 22 percent of the total Plan for Transformation housing units delivered to date. Of these, 2,045 are public housing units, 1,341 are affordable, and 543 are market rate. Download the Full CRN Analysis here. If you are interested in being notified when NSP homes become available, register at www.ChicagoNSP.org. The Chicago Housing Authority is formalizing its program that will provide rental assistance to eligible properties in Chicago. More information about the Project-based Rental Assistance program can be found by visiting www.thecha.org/PRA. CHA will begin taking applications on July 16th and will be accepted on a rolling basis. Sweet Home Chicago is an affordable housing campaign advocating that a share of Chicago's tax increment financing (TIF) funds be dedicated to affordable housing. The ordinance, sponsored by Alderman Walter Burnett, will be discussed at a public hearing on Wednesday, July 7 at 10 a.m. at City Hall. For more information about the Sweet Home Chicago Coalition, visit their website. Yesterday, the City Council approved an ordinance that would facilitate quick demolition of vacant and bank-owned properties and authorize the City of Chicago to purchase this vacant REO land for $1 after demolition. As a stipulation in the ordinance, owners (i.e. Banks) would be responsible for demolition costs, fines and fees related to the property. The vacant land would be available for future redevelopment opportunities under several City programs such as the Neighborhood Stabilization Program. Some Aldermen, however, felt that the ordinance would only encourage demolition and only add to the current problem of securing and maintaining vacant property, which has been exacerbated by the foreclosure crisis. The City currently has an inventory of about 15,000 vacant parcels. The ordinance passed yesterday's City Council meeting on a roll call vote with 32 Aldermen in favor and 14 opposing. The economic recession has stalled financing for construction projects throughout the city. Many construction sites have been left open and unsecured, creating hazardous conditions for many communities. Yesterday, the City Council passed an ordinance sponsored by Mayor Daley that would declare the open excavation sites as public nuisances and would result in fines up to $1,000 a day if the site stays unsecured. A Public Meeting regarding the Proposed Amendments to the Rules for the Illinois Affordable Housing Tax Credit Program, better known as the Donations Tax Credits, will be held on Tuesday, July 13, 2010 at 2:00 PM. Please see IHDA's website for detailed information regarding the Illinois Affordable Housing Tax Credit Proposed Rule Changes. Reports on foreclosure activity in the months of April and May are now available. In April 2010, there were 1,763 newly filed foreclosures and 1,896 completed foreclosures in the City of Chicago. In May 2010, there were 1,885 newly filed foreclosures and 1,764 completed foreclosures. Register now for CRN's Multifamily Development workshop on July 15-16th and learn about the development process, acquisition, and sources of financing. Download a registration form here. CRN will hold its Membership Meeting on July 15th, 8:30 am - 12:00 pm at Casa Morelos, 2015 S. Morgan. Topics to be discussed include the City Budget, Delegate Agencies, Property Tax Changes, and Energy Retrofit Resources. Save your seat today! RSVP to rachel@chicagorehab.org or call our office at 312-663-3936. 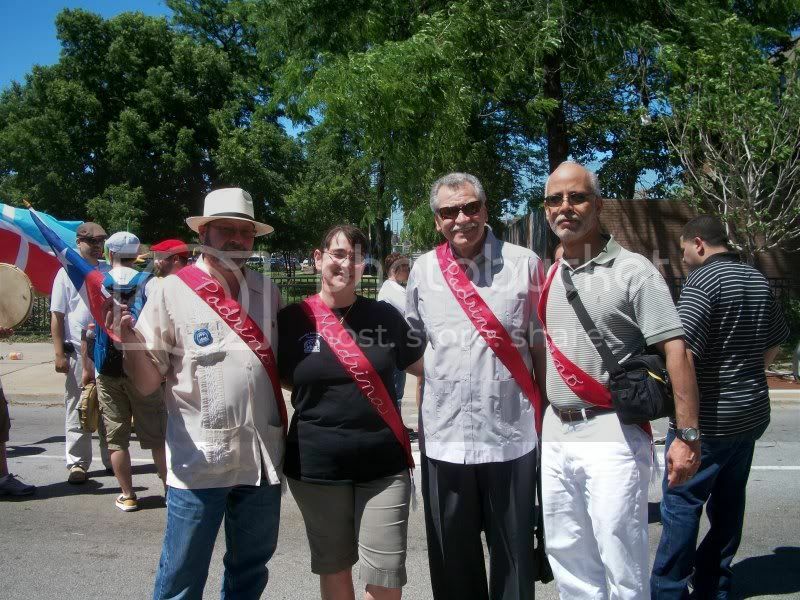 The 32nd Annual Puerto Rican Day Peoples Parade held on June 19th in Humboldt Park honors "Titans of Affordable Housing." Notice of funding availability for a $100 million HUD-DOT-EPA Sustainable Communities Regional Planning grants and a $75 million HUD-DOT Challenge grants were released last week. The grants are part of the Sustainable Communities Initiative administered by the new Office of Sustainable Housing and Communities, whose goal is "create strong, sustainable communities by connecting housing to jobs, fostering local innovation, and helping to build a clean energy economy." For more information visit the Office of Sustainable Housing and Communities website. Bethel New Life Wants To Welcome You Home in the Austin Community! Bethel has homes available under the Chicago Neighborhood Stabilization Program. Visit bethelnewlife.org for more information. The LEED Council Weatherization Skills Final workshop is July 7. The program is designed to prepare trainees for retrofitting homes for energy efficiency. Contact Milton Jones at 773-929-5552 ext. 229. Walk-ins ARE NOT accepted so please reserve your space. The Regional Home Ownership Preservation Initiative Annual Plenary will be held on July 15, 2010. For more information, visit regionalhopi.org. We need your support in assessing our communications activities. Critical to our work is our ability to push the message of affordability and inform you of key issues affecting your communities. We want to know how we are doing in providing you with information and where we can do better. Help us by completing a Stakeholder Communications Survey from CRN. Your feedback is essential and will help shape our communication priorities and understanding of what housing issues matter to you. To complete the survey please go to the link below https://www.surveymonkey.com/s/CRNCommunications. If you need a hard copy or assistance, please contact us at 312-663-3936. Keep up with CRN news and updates on Facebook.